A quart of Smith Brothers Farms Half and Half is a refrigerator staple. Sometimes we need an ingredient that’s richer than milk, yet not quite as heavy as cream. That’s why you can always find one in our fridge. 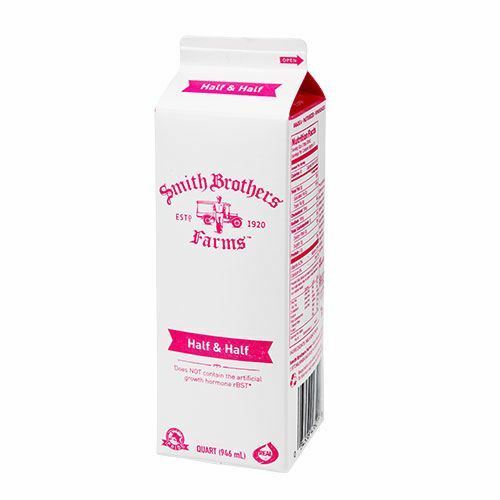 Our milk is rBST-free and gently pasteurized, which ensures that farm-fresh flavor we’re known for. Tony's Organic Cold Brew Coffee + Milk - 10 oz. Organic cold brew coffee in a convenient grab-and-go size. I love that I can order this for my coffee and it comes right to my door!